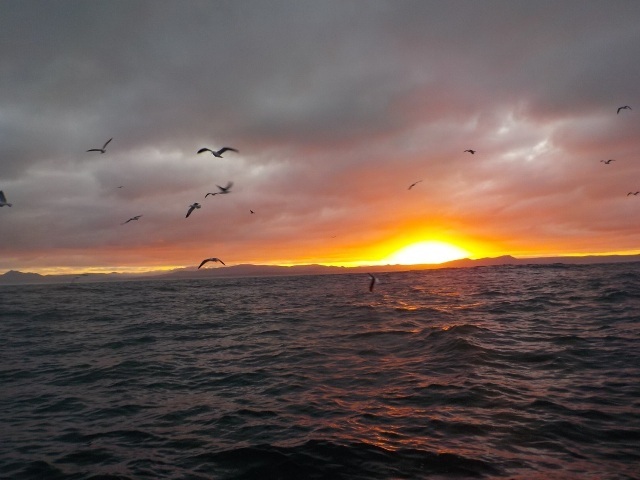 A huge thank you to Laura, a shark volunteer, for her detailed account of what days are like out at sea whilst volunteering in South Africa. 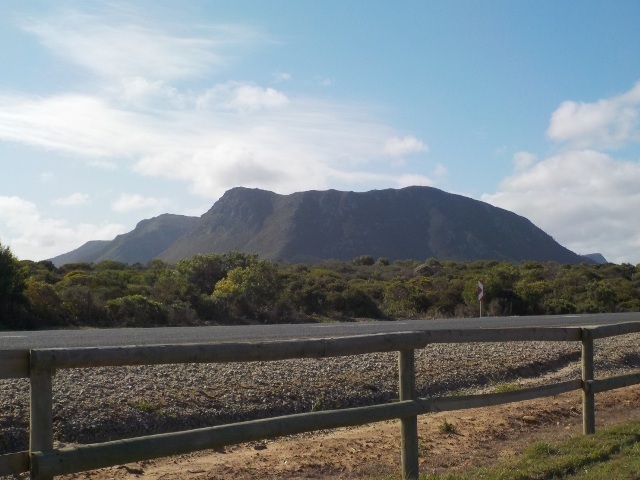 “Arriving in Gansbaai, South Africa I instantly noticed the idyllic mountains and ocean views; they were like nothing I had ever seen before. Everywhere was celebrating the marine big five and showing how much they cared and appreciated the marine life in the local area. 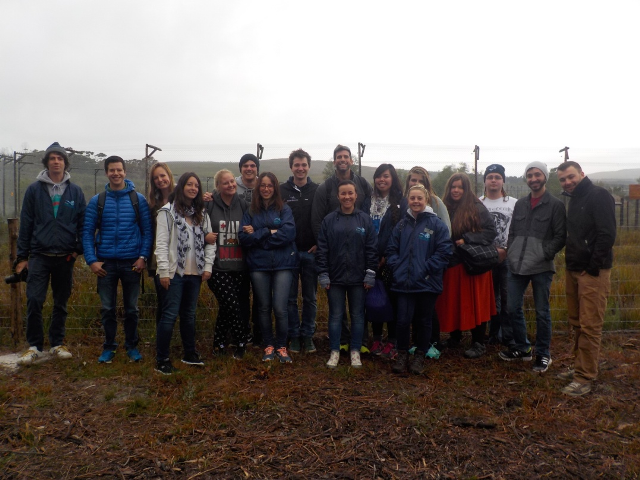 I arrived at the international marine volunteer centre early Monday morning and met all the volunteers on the project. Everyone was really nice and welcoming and instantly wanted to know each other. There were so many people from all over the world, I remember listening to all the accents and trying to learn their languages. Sometimes my accent would change and I would even forget how I would say certain words back home! Learning about other volunteers’ cultures was very interesting and eye opening. I felt that in the space of two weeks I made some true friends who I will forever stay in touch with. We all had similar interests and love sharks and all animals which opened some very interesting conversations. Over my two week stay I worked on ‘Slashfin’ the shark cage diving vessel. I loved going on the boat and sometimes I got the chance to go on more than one trip in a day! If the weather was really good and the swells were not too bad there would be around three trips a day allowing all the volunteers a chance to work on Slashfin. Working on the boat was special, yes you would have to help with some of the not so nice jobs like taking away full sea sick bags from clients, but being able to see the sharks and listen and help with the research carried out on board everyday was worth it. Volunteers would find out which launch they were on the night before, I was on a lot of morning and mid afternoon launches which I thought was great as I got to see the breathtaking sun rises whilst the boat was leaving the harbour. A typical day on Slashfin would include preparing all the lifejackets, wetsuits, towels and food that would be onboard for the trip. I would then help put lifejackets on the clients and get to know them a little. 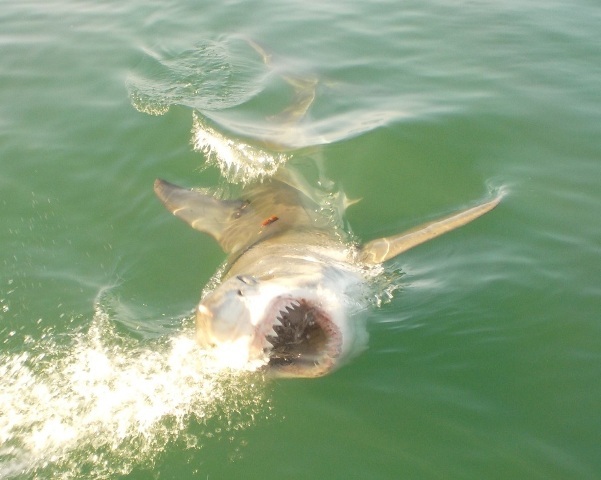 I loved finding out where everyone was from and seeing how excited they were to catch a glimpse of their first white shark! We would walk the clients to the harbour where they would board slashfin and then off we would go to a location selected by the crew. A lot of our trips anchored at a place called ‘Money rock’ though some would be around ‘Geezer rock’ which was home for the Cape fur seal colony not too far from Dyer Island. 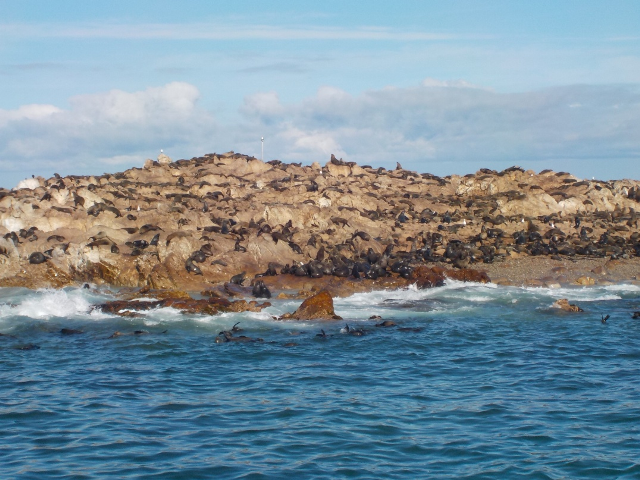 These where prime locations in winter as the new cape fur seal pups were taking their first swim and many are returning from hunting in the morning which meant many, many white sharks! Once we anchored, I would help the clients prepare for their dive and give them refreshments or information about the area, boat, crew or sharks. I would also help with sea sick clients and ensure they were okay and still managed to have a great experience. When we first arrived we had a briefing with the skipper about everything to do and not to do whilst on the boat including the best spots to help ease sea sickness. This meant we were able to help the clients who felt very sick even if some did not believe being at the front of the boat was the best place for you! As well as helping the clients I got to see lots of white sharks including some very big females ranging from 4-5 metres long! 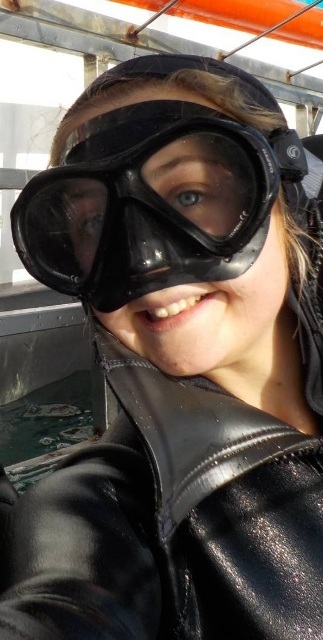 If you, like Laura, would like to get involved then check out our shark project website.